Market Cap increased from $18B on Jan 2017 to $176B today. That is a sweet 100x plus growth. Even if there is a correction to the previous peak before the correction, even then the Market Cap will be at $114B which is still a good level before the next upswing. Bitcoin price has risen from $952 on Jan 2017 to $4318 today. That is a sweet 4x plus growth. Bitcoin market Cap increased from $15B on Jan 2017 to $79B today. This is a 5x plus growth. 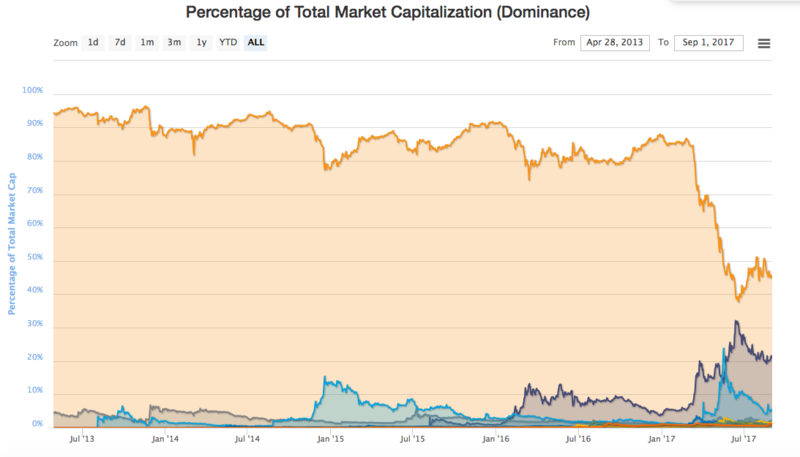 Bitcoin market dominance has gone down from 87% on Jan 2017 to 45% today. Inspite of the growth of Bitcoin price and market cap its dominance has gone down, which points us toward the exponential growth of Altcoin Market cap. 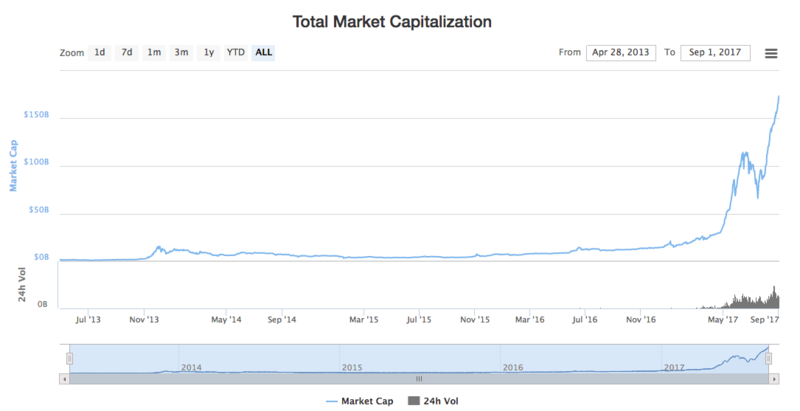 Altcoin market Cap increased from $2B on Jan 2017 to $97B today. This is a 50x plus growth. Are we nearing a Altcoin Bubble? Are we crossing the threshold of Cryptocurrency adoption and reaching a mass adoption of Cryptocurrency?